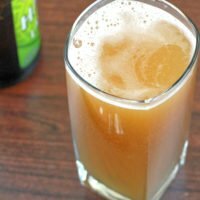 The Lunchbox drink recipe is a very lovable cocktail. There’s nothing especially sophisticated about it – it just tastes incredibly good. It’s not even a very pretty drink: there’s no garnish, and it tends to look like a glass of weak beer. That’s because it is indeed beer-based. The Lunchbox blends Southern Comfort and amaretto with orange juice and beer. That may sound like an odd combination at first, but it should also sound like a familiar one. Southern Comfort, amaretto and orange juice appear together in the Alabama Slammer. The fourth ingredient in that cocktail is sloe gin, a very, very sweet berry liqueur. So the Lunchbox is quite similar to the Alabama Slammer, only less sweet and without the berry notes. The small amount of beer gets lost in the rest of the flavors. The flavors here, in order of their appearance in your mouth, are: orange, the almond-cherry flavors of amaretto, peach, and hints of something fruity. And a little bit of spice and bitterness. The “something fruity” comes from the beer and the whiskey base of the Southern Comfort. Mixed in with everything else, you mostly just pick up fruit notes. And the mild bitterness comes from the beer, which cuts the sweetness of the drink. That makes it more complex than the purely sweet Alabama Slammer. 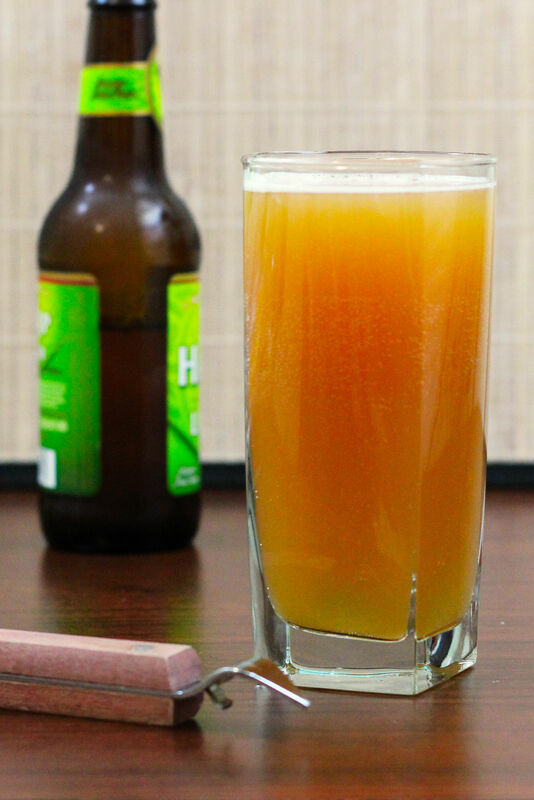 The natural bubbles in the beer give the cocktail a refreshing feeling. It’s not quite like carbonation, especially with this small amount of beer. But it adds a little something special and memorable to the drink. This is a very simple drink to make. You just pour all the ingredients in and stir. Or you can save the Southern Comfort for last, put it in a shot glass, and drop the shot glass in, Boilermaker style. Just one little note of caution: many a drinker has chipped a tooth on a suddenly rising shot glass while chugging on a Boilermaker-style drink. You can make this drink in big batches, hours or even a day ahead of a get-together. That makes it a great choice for tailgating parties. The Lunchbox cocktail blends orange juice, beer, Southern Comfort and amaretto. It's sweet and surprisingly tasty. Pour the orange juice into a highball glass first. Finally, pour the Southern Comfort. Alternately, you can put the Southern Comfort in a shot glass and drop it down in.